Hurricane Mk I P3901/RF-E, 303 Squadron Polish Air Force, Northolt, September-December 1940. The aeroplane was flown among others by P/O Jan „Donald” Zumbach i F/O Witold „Cobra” Urbanowicz. 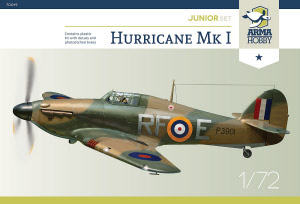 W. Urbanowicz shot down 9 of his Battle of Britain victories including four kills a day claimed twice when flying this Hurricane. On this aeroplane (or V6757/RF-E) J. Zumbach’s famous personal insignia, "Donald Duck”, was painted for the first time in late 1940. 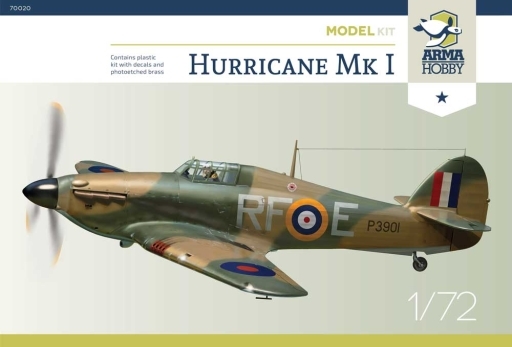 Hurricane Mk I V6605/YO-N, 1 Squadron RCAF, Northolt, September 1940. Aeroplane from a Canadian squadron borrowed to 303 Squadron. F/O Zdzisław Henenberg has claimed Me-109 probably destroyed on 7th September 1940.